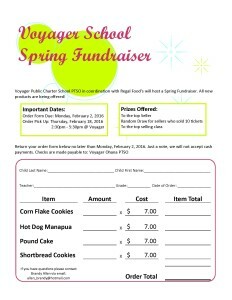 Spring Regal Fundraiser Deadline is Fast Approaching! Just a friendly reminder, our Spring Regal Fundraiser deadline is fast approaching. Please return your order forms and payment no later than Tuesday, February 2, 2016. We’ve attached the order form in case you misplaced yours. 1. Place order form in the PTSO box located on the wall outside the school administration office. 2. Hand deliver to the administration office. 3. Send the form with your child to school. 4. Deliver to PTSO board member on-site Tuesday February 2nd between 2:45-3:30pm. If you have any questions or concerns please contact Brandy Allen at allen_brandy@hotmail.com.